For the last two days my inbox isn't giving me notifications. Uninstall and reinstalled no luck. Other apps are notifying just fine. In order to know if a new Gmail I have to open the app. Worked fine until two days ago. Any thoughts? Nexus 6 stock t-mobile. 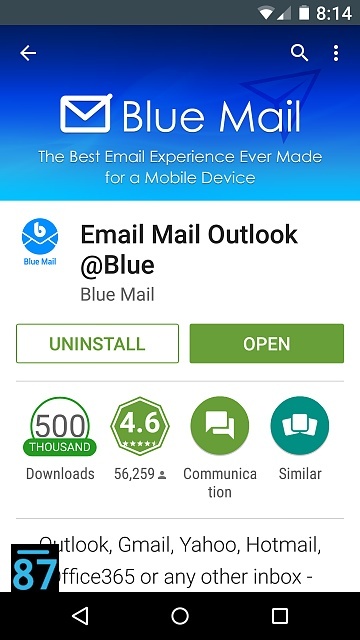 Check out Blue Mail, for me the best email app. I had that problem once. Check your notification priorities settings with the up/down volume button. I had mistakenly set my priority times wrong. This actually somehow resolved itself. As I said I uninstalled and reinstalled previously to no avail. Just bothered me that I had two days of legal stuff that went unattended. Works fine now though. Thanks for the suggestions. I had this same issue and found that an antivirus app I had downloaded turned off auto-sync of my google account to save battery. Probably true...but not that desperate. Hope this helps. Sorry, but in contrast to what you guys have said, I don't have any antivirus app thankfully on my phone and my inbox by Gmail app is absolutely fine. Note 4 Settings->System->System Update missing? Can I get some help unlocking my phone? Why isn't my front facing camera working? Will I only get updates through AT&A on my unlocked HTC One M7?